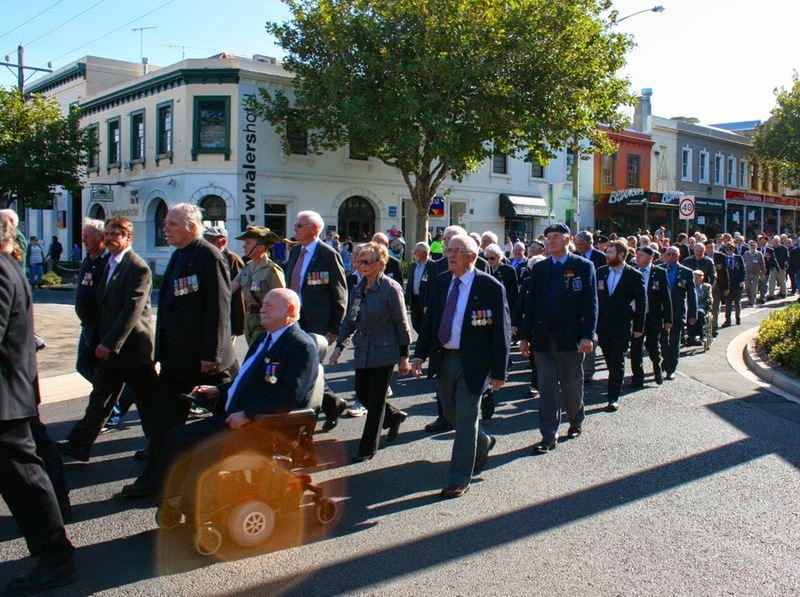 Here I am 61 and today was the first ANZAC Day Parade and Ceremony I have ever been to. 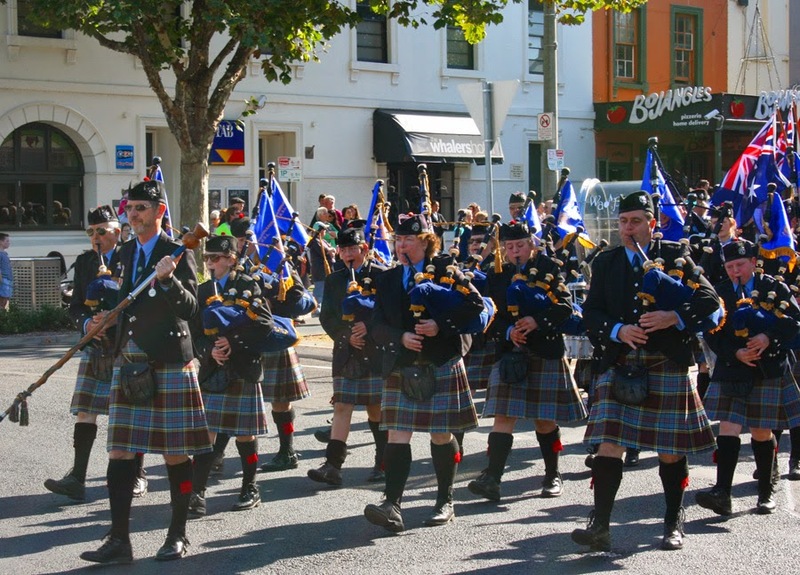 ANZAC Day is a national holiday in Australia and New Zealand. It is a very special day where both countries remember the servicemen and women who have previously and are currently fighting for our countries. 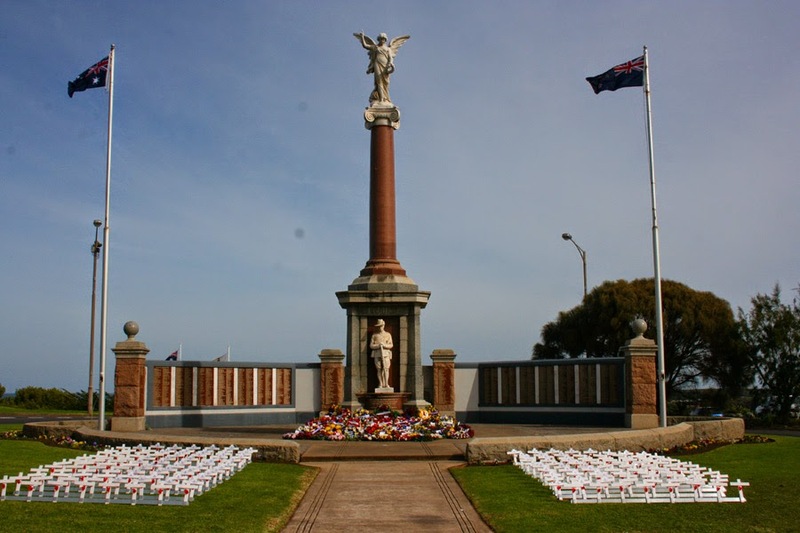 The origin of the ANZAC's (Australian and New Zealand Army Corps) originated at dawn on April 25th, 1915 when the Australian and New Zealand forces landed on the beach at Gallipoli in Turkey. The task for these brave men and boys was to take the peninsula. Their mission failed and thousands of lives were lost. 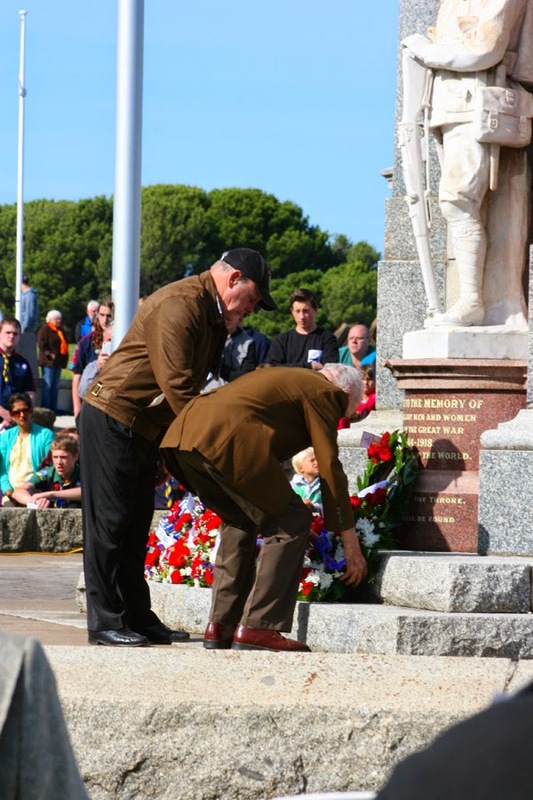 The allied causalities included 21,255 from the United Kingdom, an estimated 10,000 dead soldiers from France, 8,709 from Australia, 2,721 from New Zealand and 1,358 from British India. 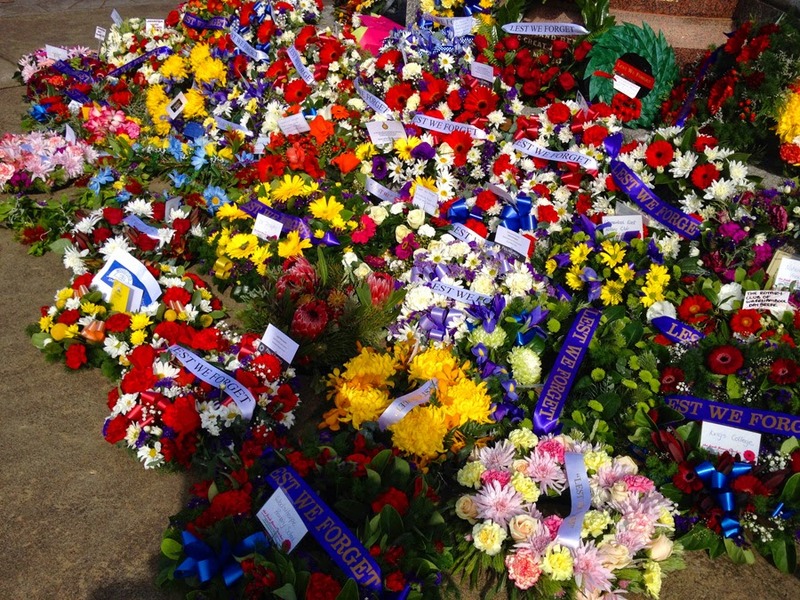 In honour of these brave men and women ANZAC Day has been held in our countries since then. The Gallipoli saga was during World War 1 which started in 1914 with ceasefire was on November 11th, 1918 three days after my Dad was born. When World War 2 started in 1939 my Dad was 21 but luckily he never had to head out of Australia to fight. He was classed as fighting for his nation on home soil as he had a job that was important to the war effort. Even when this war was on my Mum worked in an ammunition factory. I have my thoughts, but why do you think this "orb" appeared in this shot. It was the only shot it appeared in. As it turned out today's ceremony was very poignant for me. 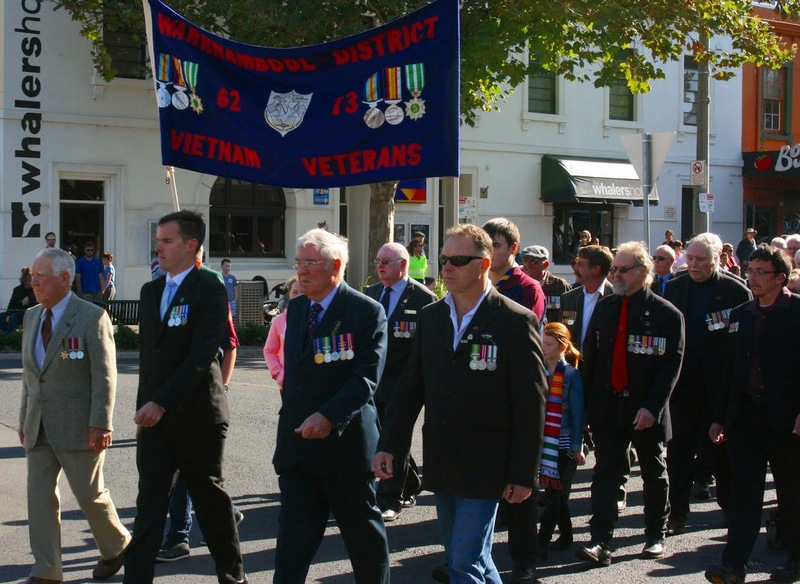 I have never really been into ANZAC Day, maybe because I didn't have a father or grandfather who fought. 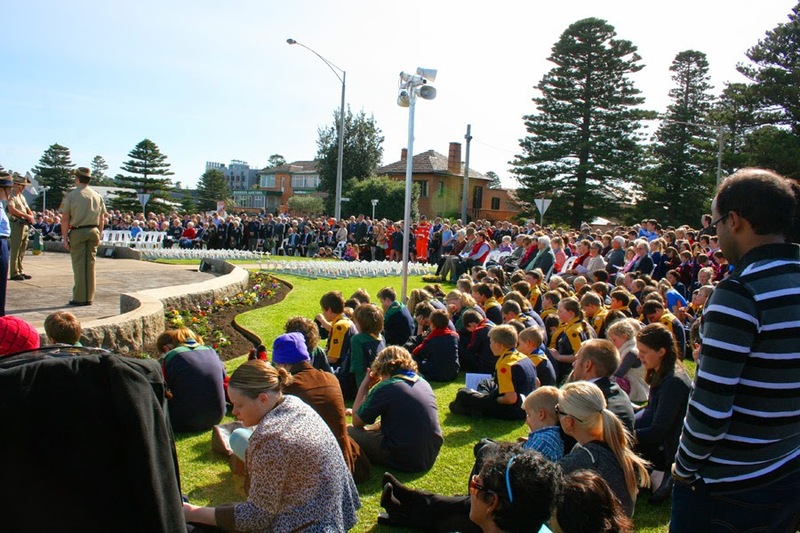 I think I thought if I participated in ANZAC ceremonies I was making war worth commemorating. But today during the various speeches a young senior school boy talked about his great grandfather who had fought in WW1. His words really hit home to me especially when he said "ANZAC Day isn't about remembering the war, it's about remembering the men and women involved". I realized that even though Mum and Dad didn't fight they still made a huge contribution by the jobs they were doing. So here I am at 61 and have realized the true meaning of ANZAC Day.